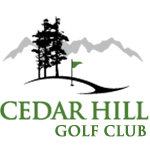 The Cedar Hill Men’s Division began its golf season with qualifying rounds for positions on the interclub teams: Willie Park, which consist of 8 players; and Harry Young, which consists of 12 players. Teams were chosen by handicap using Stableford points. Both competitions are played on weekday afternoons and early evenings. The Men’s Division has many tournaments throughout the year, including the Frank Gavin Memorial, the Ray Harrington Foursomes, and the Grant Rutledge Memorial. The Men also participate in buttons matches, which are comprised of two-man teams playing best ball. The “handicap” buttons and “open” buttons (no handicap) are played at the Cedar Hill Golf Course. The “city” buttons matches (no handicaps) are played against other clubs around southern Vancouver Island. In addition to the regular golf season, the Cedar Hill Men also participate in a winter league from October to March. In spite of the weather and iffy course conditions, the winter league continues to a resounding success and gives members a reason to visit the club through the winter. The Senior Men (age 55+) enjoy a wide range of events, including interclub matches against various south island golf clubs. The Seniors are also involved in open button match plays and host several Stableford competitions, which are a fun way to meet other senior golfers. The Stableford competitions are open to both club members and pass holders (with a recognized handicap). The Senior Men show a true spirit of competition and a high level of sportsmanship. Our senior members are encouraged to recruit other seniors and pass holders to join our very active club. The annual Cedar Hill Open continues a long tradition of being a friendly start to the golfing season. Our men’s golf events this year are listed below. * Best three of four events (including the Bob Gillespie Mixed Tournament result).